For the moment there are no real clues leading to the group or organization responsible for the murderous terrorist attacks in Kenya and Tanzania against the American embassies, which took the lives of so many innocents--Africans and Americans. It will take time to decipher the incident due to the modus operandi used--a car-bomb that is completely destroyed in the blast. Added to this is the desire of the orchestrators of the attack to remain unpunished, and therefore not to take responsibility for the attack. It must be remembered that there is as yet no clear-cut answer as to who was directly responsible for similar bombings in the past--the bombing of the American Marines camp in Beirut in 1983, or the Israeli embassy in Buenos Aires in 1992. Still it is possible to make an evaluation as to who could have the ideological, strategic and political interest and the operational capabilities to launch such a coordinated and well-planned attack. However, it should be stressed that this is only an initial evaluation which is not based on hard facts and that it will take time to find the answers to the many questions raised by the two terrorist attacks. What is certain is that no African group or organization could be behind such an operation. In addition, unlike the case in Oklahoma City, it is very improbable that an extremist American right-wing group would go so far to “revenge” the McVeigh trial or to “punish” the American government. The American militias never acted on the international arena and they are present mainly on the local level. So far there has only been one claim to responsibility registered by the media. The London Al-Hayyat reported on Saturday that it received a call late on Friday from an unknown Islamic group claiming responsibility for two bomb attacks. It said the caller was speaking in an Arabic dialect that was not Egyptian, and that he claimed to be a spokesman for a group called "The Liberation Army of the Islamic Sanctuaries." Al-Hayyat, said that the caller did not state where the group was based, describe its nature, or give the nationalities of its members. The Middle Eastern track remains indeed the most plausible one and there are several possible scenarios. After the trial of Sheikh Omar Abdel-Rahman, of six of his followers and of Ramzi Youssef, the mastermind of the 1993 World Trade Center bombing in New York (in January 1998), several anonymous threats against the United States were reported. In February 1998, false bomb alerts were received at the US embassy in Caracas, Venezuela. In March 1998, the American school in Amman, Jordan was damaged by an explosive device. And finally, in June 1998, according to the London Al-Hayyat newspaper, Islamic militants were arrested in Egypt and accused of plotting to kidnap Americans in Egypt in order to gain the release of Sheikh Abdel Rahman. The most oft-cited factor with the potential to have orchestrated such a sophisticated attack is Osama bin Ladin. The Saudi millionaire considered to be the ideologue and the financier--the “heart and soul”--of many Islamic extremist groups active in the Middle East; groups that are directed from Afghanistan and Pakistan. Beginning in February of this year many reports in the Arab and Pakistani press stated that the U.S. authorities were conducting a serious international effort to obtain the extradition of bin Ladin from Afghanistan. The Rawalpindi Jang reported on 31 March that special commandos of the American CIA and FBI have arrived in Pakistan to arrest Osama bin Ladin of Saudi Arabia and Abdul Basit of Libya. According to informed diplomatic sources, the US agencies had decided to arrest Osama bin Ladin and Abdul Basit after the receipt of faxed messages from Osama bin Ladin to the US Embassy in Islamabad and the US consulates in Peshawar, Lahore, and Karachi, threatening to target U.S. facilities and US citizens at any time. Following this threat, security was tightened around the U.S. Embassy, consulates, banks, and other facilities. The same newspaper reported again in mid-April that the United States had made vigorous efforts to arrest Osama bin Ladin. As a result, Osama bin Ladin's security arrangements were further tightened. The permanent representative for the U.S. at the UN, Bill Richardson, visited Afghanistan on 17th April to hold talks with the Taliban on the issue. According to Afghan sources, the United States increased its efforts to obtain Osama's arrest after bin Ladin's alleged threats to the US diplomatic missions in Pakistan. The Taliban government has provided special security guards for bin Ladin, who is staying in Qandahar Province in Afghanistan. The founder members of the Front include Saudi oppositionist Osama bin Ladin; Dr. Ayman al- Zawahiri, leader of the Egyptian Jihad; Rifa'i Ahmad Taha, a leader of the Islamic Group whose name was much mentioned in connection with the al-Dir al-Bahri massacre in Luxor in November 1997,which claimed the lives of 58 tourists; and some leaders of extremist fundamentalist movements in Pakistan. On May 28, 1998 the Islamabad daily, The News reported that Osama bin Ladin had announced the formation of an International Islamic Front for Jihad against America and Israel. Talking to a group of journalists who had traveled from Pakistan to meet him at his base in Khost in southern Afghanistan, he said leaders of Islamic movements in several countries, including Pakistan had evinced interest in joining the front. He stated that Dr Aiman Al-Zawahiri, leader of the Jamaat-ul-Jihad in Egypt who was present at the time, had played a crucial role in launching the front. The Islamabad daily, The News commented on 15 June 1998, that until May 1996, the Arabs who had taken refuge in Afghanistan after the end of the Afghan “jihad” lacked a leader and a well thought-out agenda. The arrival of Osama bin Ladin, a Saudi dissident--accused on May 18, 1996 by certain Arab and Western governments of being a financier of an Islamic international army in Afghanistan--helped solve both their problems. The normally fractious Afghanistan-based Arabs not only found a resourceful leader and a rallying point but also someone who is very clear about his objectives. This was very much in evidence when he recently announced the launching of an International Islamic Front for Jihad Against America and Israel. There are probably a few hundred Arab volunteers still living in Afghanistan. They are the leftovers of the several thousand Arabs who came to Afghanistan via Pakistan in the 1980s to take part in the “jihad” against the USSR's Red Army and the Afghan communists. Those left behind have nowhere else to go because they risk being caught should they venture to return home. No other country would be willing to accept them. In any case, present-day Afghanistan continues to be their safest hideaway. The ones who have returned to their countries have mostly joined the political and military struggle aimed at bringing an Islamic change there. Known as Arab-Afghans, these battle-hardened Islamists have come to be known as the most radical and dangerous of the fighters who have taken up arms against the Algerian and Egyptian governments. The Paris al-Watan al-'Arabi estimated on 26 June 1998, that “the fact that bin-Ladin has shown up again in the press clearly indicates his emergence as a leader of the revolutionary council that was eventually established.” According to the newspaper, a Dutch official, who closely follows developments in the new Islamic Front, in cooperation with European organs, believes that relations were actually reorganized among the organizations--which used to cooperate and coordinate with each other on the organizational and logistical levels--on a new basis that gives an organizational working configuration to past relations. This is a new and important development. According to the Dutch official, this confirms the seriousness of this event, which requires larger and more accurate coordination between the European and U.S. authorities. It also calls for cooperation by some of the Middle Eastern authorities. The organizations whose membership in the Islamic Front was announced are the Egyptian Jihad, the Egyptian Armed Group, the Pakistan Scholars Society, the Partisans Movement in Kashmir, the Jihad Movement in Bangladesh, and the Afghan military wing of the “Advice and Reform” commission led by Osama bin Ladin. All these organizations once cooperated and coordinated with one another, but without any specific configuration or mechanism for such cooperation. Moreover, each of these organizations had freedom of action, and they determined their own objectives independently. Cooperation among these organizations was only at the level of “those who carry arms,” which is one of the organizational levels of each organization. There were no means of cooperation and coordination among “the people of the call,” another of the organizational levels. This is due to the fact that Afghanistan enhanced relations among the “carriers of arms” and created a kind of interpersonal cohesion. According to this evaluation, the threat posed by this new front is due to the fact that it combines all the organizational levels, by establishing a shura [consultative] council. According to most assessments, this council is led by Osama Bin Ladin. This increases the front's effectiveness. It can be said that the Islamic Front has now moved from the constituent and organizational phase to the operational phase. It is interesting that only last month, the U.S. State Department published a public announcement to the effect that Osama bin Ladin's threats against American interests should be taken seriously. Since the advent of the Khatami government there is hope in the West and the U.S. that the new president will change the aggressive Iranian policy of supporting and sponsoring international terrorism. However, on the issue of terrorism, the signs in Iran are conflicting. Khatami declared that Iran continues to oppose Arab-Israeli negotiations and depicted Israel as a racist, expansionist, and terrorist state. The flow of weapons to Hizballah in Lebanon is continuing and Iran is still providing the Palestinian terrorist groups with funds and military training. Representatives of terror groups recently met in Tehran to coordinate their activities with Iran. 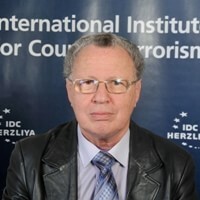 At the end of 1997 a German convert to Islam recruited by a top Hizballah cadre trained in Iran, was sent to Israel to perpetrate acts of terror in Tel-Aviv. Ali Akbar Nateq-Nouri, the speaker of the Iranian parliament declared that he hoped Moslems would kill British author Salman Rushdie. Iranian hard-liners will certainly attempt to maintain the ideologically aggressive foreign policy founded by Ayatollah Khomeini. Their recent steps to confront President Khatami and his supporters are but the beginning of a long struggle concerning the nature of the regime and its policies. Anything goes in the attempt to sabotage Khatami's attempts to open the regime at home and moderate its foreign policy. The hard-liners still control the military and the intelligence apparatuses and have the blessing of the spiritual leader Khamene’i. One of their options would be to wage provocative acts of terror in order to sabotage the policy of the president and stop the process of detente with the United States opened several months ago. Iraq banned surprise checks by the UN-affiliated nuclear agency and halted a team of UN inspectors, telling them they can only monitor sites already checked. The moves follow President Saddam’s decision to freeze cooperation with UN weapons inspectors and the International Atomic Energy Agency on the question of the control of its non-conventional weapons programs. In the past the Iraqis have tried already to assassinate ex-US president Bush during his visit to Kuwait. Although this is a low probability scenario, the nature of the Iraqi regime and its aggressive policy vis-a-vis the UN teams and the embargimposed on it could push it to an act of international terror in order to weaken the American administration’s position and firmness in dealing with Iraq’s disarmament from non-conventional weapons. This is also a low-probability scenario, due to the moderation the Sudan government has shown in recent years in its policy of support to international terrorism. According to the US State Department, Sudan has taken some positive steps on terrorism during 1997, but it still has not complied with UN Security Council resolutions that demand an end to Sudanese support for terrorism and the extradition of the three suspects involved with the 1995 assassination attempt against Egyptian President Mubarak in Addis Ababa. 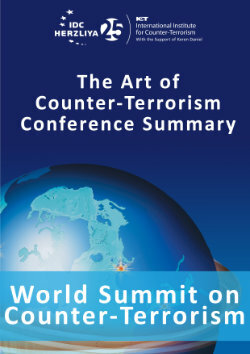 Moreover, Sudan continues to allow its territory to be used for safe-haven, training, and transit by terrorists. It is therefore possible that some Islamic extremist group present in Sudan could be involved in the terrorist attacks in neighboring Kenya and Tanzania, although this would extremely damage Sudan’s relations with its neighbors.